The fate of the Jamaican women's team sled was uncertain after the coach's abrupt resignation. UPDATE: Red Stripe confirms the brand has wired the money to the Jamaican team and that the bobsled has been purchased. See below for details. The Jamaican bobsled team has been a world-famous underdog since first appearing on the Olympic scene in 1988. The team’s unlikely path to the global stage was made famous in the 1993 movie Cool Runnings, but returning to the Olympics has been a challenge ever since, with financial support often in short supply. This year, the Jamaican men’s team fell short of qualifying for the Olympics, but that disappointment was offset by a new milestone: the country’s first women’s bobsled team made it to the games. But the path to glory remains rough sledding, as the women’s team now faces the risk of losing its sled, whose ownership is disputed. Team coach Sandra Kiriasis, a German gold medalist, abruptly quit after being demoted to track analyst, and her comments make it unclear whether she’ll take the sled with her. While the Jamaican team says it’s been “approached by many nations with extra equipment,” another potential benefactor has stepped into the fray: Red Stripe. No bobsled, no problem. 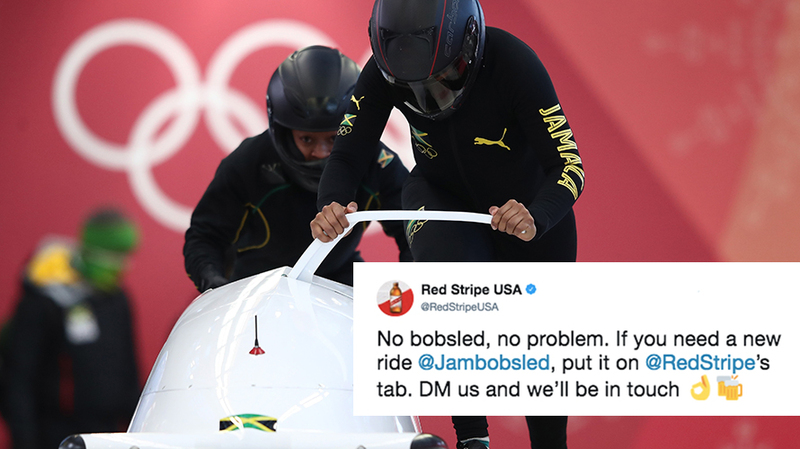 If you need a new ride @Jambobsled, put it on @RedStripe’s tab. DM us and we’ll be in touch ?? According to one estimate, an Olympic bobsled can cost around $50,000. Such an amount can be prohibitive for Jamaica, which relied on fan donations to pull together (and surpass) the $80,000 needed for the team to compete in Sochi in 2014. Adweek: Have you had any conversations with the Jamaican team yet? Any response? 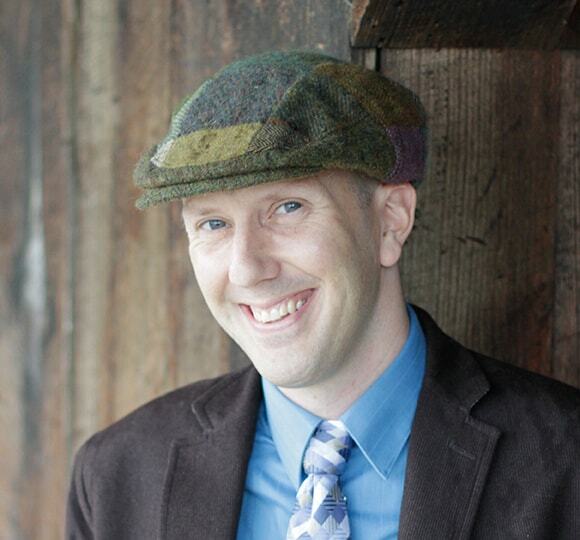 Andrew Anguin, senior marketing manager, Red Stripe: When Red Stripe caught wind of the news, we immediately huddled as a team and made the decision to show our support. We then reached out after receiving the information for the correct person at the Jamaica Bobsleigh Federation. We’re hopeful to begin a quick dialogue on how we can help in any way possible. Just to confirm, this is a literal offer, right? Not a joke. This is not a joke. The games are an honor to compete in, and as the No. 1 beer in Jamaica, we want to help those athletes realize their dreams. The athletes clearly have no quit, so we would love to do our part and put the cost of a new bobsled on our “bar tab.” We’re happy to discuss specifics with the team at the Jamaican federation. Have you priced out what a bobsled would cost and if it’s logistically feasible to have one there in time? While we’re experts in beer, we won’t know the cost of a new bobsled until we’re able to speak with representatives from the team. That said, as a beer born and brewed on the same island as these athletes, we want to ensure they have what they need to proudly compete. UPDATE (Friday, Feb. 16): Red Stripe confirmed today that it has wired the necessary money to the Jamaica Bobsleigh Federation and that the sled has been purchased. The brand wired 40,000 euro, which is about $50,000, and said the bobsled is now in the team’s possession. No other details were available on the source of the sled or if it’s different than the one the team was already using (whose ownership was in dispute after the coach’s resignation). You’ve got yourselves a new sleigh from your friends at @RedStripeUSA!